Audi is one of the world's best selling luxury car manufacturers, so it's not surprising that Viezu offers a very significant range of Audi car tuning and Audi ECU remapping for all modern Audi vehicles. 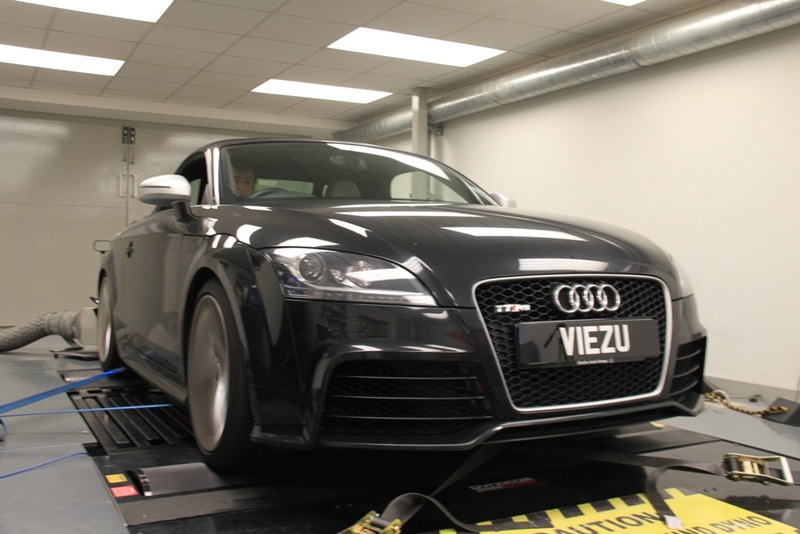 Viezu has developed a range of Audi chip tuning and Audi ECU remapping services, covering almost all Audi vehicles. The Audi tuning we provide is custom written so can be tailor made to suit your needs. Audi chip tuning will improve overall power and torque, driveability and throttle response as well as improving Audi fuel economy and efficiency. Viezu has remaps for both Audi diesel vehicles and Audi petrol models too. Most of the Audi tuning is carried out quickly and efficiently through the OBD connector or diagnostic port. All of our engine maps are written with the customer in mind and a very specific engine ECU map can be written for your exact needs, be it all out Audi performance or Audi fuel economy remap offering fuel saving. All Audi tuning and remapping work comes with Viezu's no quibble money back guarantee and full underwritten insurance. Audi car tuning is developed in house by our team of experts on our environmentally controlled rolling road and for many thousands of miles both in simulated and real life conditions. Viezu has Audi performance and Audi fuel economy engine remaps for the majority of the modern Audi range, including the Audi A4, S3, A5, TT, RS6, R8, Q7 and A3 models. Whatever your Audi tuning and performance requirements the Viezu team and our worldwide dealer network are here to help. Please contact us and let us know how we can be of assistance.